The Spa team will guide you through the various cares we offer with our partner CINQ MONDES, and dedicate all their knowledge in wellness care, relaxing or fitness. 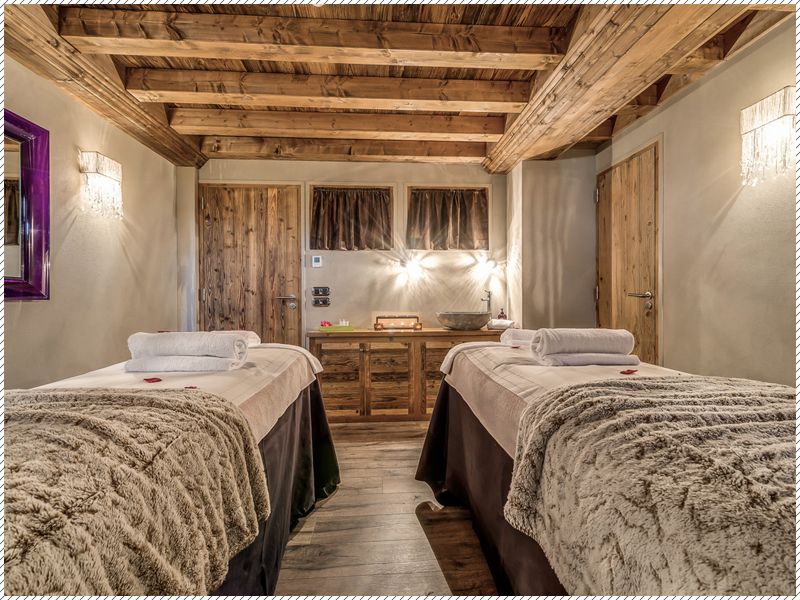 Individual or Duo cabins to share unforgettable relaxation and wellness moments. A modern and warm setting to immerse yourself in the atmosphere of a mountain spa. To recharge your batteries, nothing is more comforting than to let yourself slip under the bubbles of the jacuzzi or the massaging jets of the swimming spa or to relax under the starry sky of the hammams for absolute tranquility. Need to unwind ? 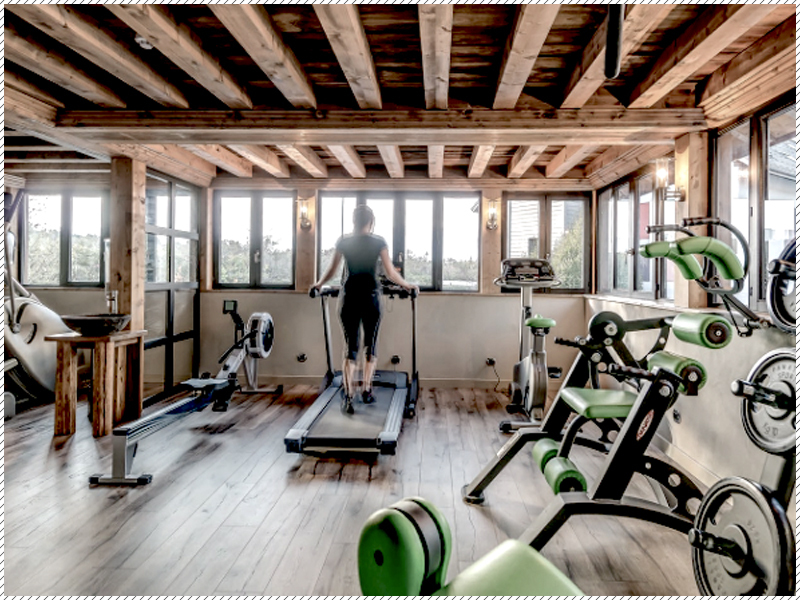 a full, bright and invigorating fitness room to start your day in good shape ! 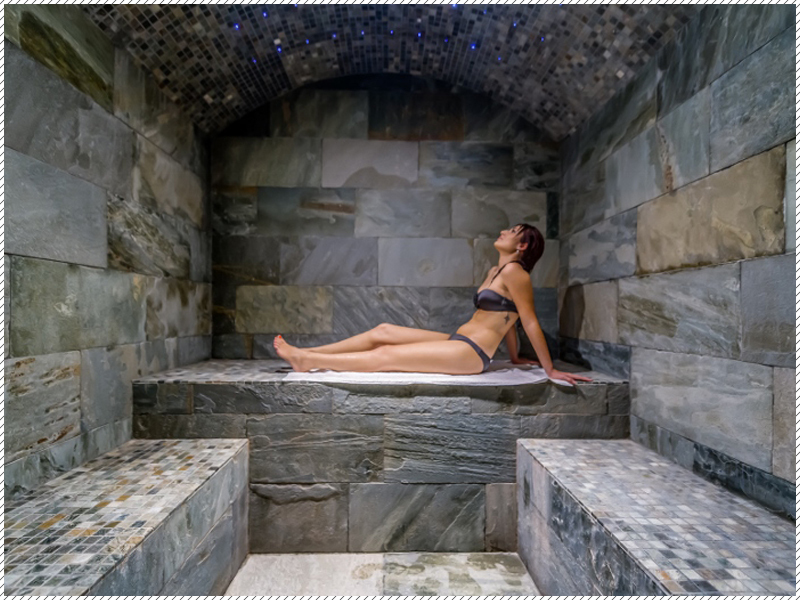 Fully rebuilt in 2014, decorated with old wood and natural stone by an enthusiastic and dynamic team, Come enjoy our 2 pools of relaxation with Jacuzzi and counter current swimming, steam rooms with starry skies, multi- sensory showers and Hydrojet massage. All with a soothing light, enchanting scents and relaxing music to offer you the most memorable spa experience. You will finally drift off under the expert hands of a professional team who offers a wide range of fantastic body cares by CINQ MONDES. Certified “Cinq Mondes Spa Club”, the Spa of La Maison Rouge offers a range of high-end quality treatments: A selection of the best beauty rituals in the world to make you live a refined and unique experience.